A complete cure from the sun's harmful rays, FEM brings you the first De-Tan Bleach. With FEM De-Tan Bleach, you can now step out for the day confidently. Enriched with the goodness of orange peel extracts which acts as an effective and safe solution to your tan problems. It helps to remove tan in just 15 minutes and gives you a confident and youthful skin. Add a golden glow to every occasion. Unique 3-step action of its Ultra Pre-bleach Crème, Ultra Bleach Mix with Real Gold Dust and Ultra Post-bleach Crème gives instant radiance to your skin. 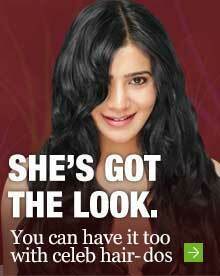 Go ahead and make your special occasions a golden memory with parlour like glow in minutes. The New Turmeric Herbal Ammonia* Free Bleach is inspired from homemade UBTAN. Turmeric is known to have antiseptic properties that reduce skin irritation while bleaching. With the power of turmeric, this bleach lightens skin tone, giving it a healthy glow. It is suited for all skin types as it is the first dermatologically tested bleach which is safe on the skin. It comes in 3 sizes - 8gms, 24gms. These multi-use packs come with a unique pre-measured spoon "Fem safeusetm spoon" that ensures a safe and convenient bleaching experience. Fem Pearl Bleach is specially formulated for wheatish to dark skin tones. It has pearl and milk extracts that lighten the skin tone, remove tan and give a pearl like healthy glow. 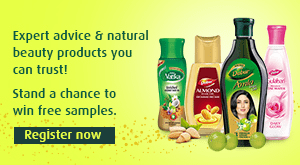 It is the first dermatologically tested bleach which is safe on the skin. It comes in 3 sizes - 6.6gms, 26.4gms and 52.8gms. These multi-use packs come with a unique pre-measured spoon "Fem safeusetm spoon" that ensures a safe and convenient bleaching experience. Fem, the leader in fairness bleaches, brings the new Fem Saffron & Milk Bleach with natural ingredients. Specially formulated for a fair skin tone, it lightens dark facial hair, spots and pigmentation, giving a flawless tone and fairness. Completely safe to use, it comes in 3 sizes - 6.6gms, 26.4gms and 52.8gms. Multi-use packs come with a unique pre-measured spoon called the "Fem safeusetm spoon" that ensures a safe and convenient bleaching experience. The new Fem Gold Crème Bleach comes with real, pure gold in it, which gives you a golden glow that makes you stand out against the fakes. Not only does it come with a beautiful fragrance but it also has special moisturizing ingredients which give you a soft creamy experience. Fem Gold Crème Bleach works wonders just in 15 minutes and leaves the skin radiant & glowing. The real gold particles added to the powder activator leave behind a soft golden shimmer on the skin. Enriched with the magical benefits of Gold, FEM Gold Hair Removal Cream is ideal for normal skin. The combination of Swaran Bahsam (Gold Dust) and Jojoba Oil miraculously nourishes, soothes skin and makes it bloom naturally. Oxy Life Crème Bleach is one of the premium bleaches that exist in the market. It lightens the skin tone,removes dead skin and tan, and helps you get flawless fair skin in just 15 minutes.Oxy Life Crème Bleach gives fresh active oxygen to the face and makes a dull, dark and lifeless face come alive instantly.It is ammonia free and very pleasant to use. The bleach comes with a unique pre-bleach cream that forms a protective shield for even the most sensitive skin,giving a safe and healthy bleaching experience.Oxy Life is the most recommended bleach in the parlors. 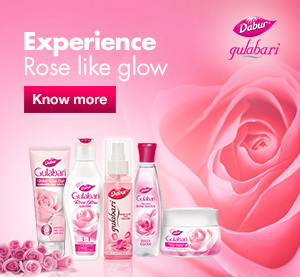 Dabur Gulabari premium rose touch face freshener gives you that unique rose like freshness anywhere, anytime by cleansing, moisturising and refreshing your skin. Roses are known for their skin benefits. 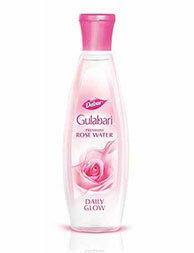 Dabur Gulabari rosewater is made of natural rose extracts which can be used with a cotton ball as a cleanser. It can also be mixed with a face pack and glycerine. Its natural ingredients gently cleanse skin, ridding it of dirt and giving it a radiant glow. Available in 30ml, 59ml, 120ml and 250ml.